Direction for Legal Aptitude Question: In this section each question consists of legal propositions principles thereafter referred to as 'principle' and facts these principles have to be applied to the given facts to arrive at the most reasonable conclusion. Such principles may or not may be true in the real sense. Yet you have to conclusively assume them to be true for the purposes of this section. In other words, in answering the following questions, you must not rely on any principles except the principles that are given herein below for every question. Further, you must not assume any facts other than those stated in the question. The objectives of this section are to test your interest towards study of law. Research aptitude and problem solving ability even if the most reasonable conclusion arrived at may be unacceptable for any other reason. It is not the object of this section to test your knowledge of law. 108 PRINCIPLE: Nobody shall unlawfully interfere with a person use or enjoyment land or some right over or in connection with it. The use or enjoyment envisaged herein. Should b normal and reasonable taking into account surrounding situation. FACT: Jeevan and Pavan were neighbors in a residential locality. Pavan started a typing class in a part of his house and his typing sound disturbed jeevan who could not put up with any kind of continuous noise. He filed a suit against pavan. Pavan is liable, because he should not have stared typing class in his house. 109 PRINCIPLE: Any direct physical interference with the gods in somebody's possess without lawful justification called trespass to goods. FACT: A purchased a car from a person who had no title to it and had sent it to a garage for repair X, believing wrongly that the car was his remove edit from the garage. FACT: Krishnan while driving a car at high speed in a crowded road knocked down a cyclist the eye list died on the spot with a lot of blood spilling around Lakshmi A pregnant woman passing by surfed from a nervous shock. Leading to abortion Lakshmi filed a suit against Krishman claiming dangers. a) Krishnan will be liable, because he owed a duty reasonable care to everybody on the road including Laksmi. b) Krishnan will not be liable because he could not have foreseen Lakshmi suffering form nervous shock as a result of his act. c) Krishnan will be liable to Lakshmi because he failed to drive carefully. 111 PRINCIPLE: Nuisance as a tort (civil wrong) means an unlawful interference with a person use or enjoyment of land or some right over or in connection with it. FACT : During the scarcity of onions, long queues were made outside the defendant's shop who having license to sell fruits and vegetable used to sell only I kg. of onion per ration card. The queues extended on to the highway and also caused some obstruction to the neighboring shops. The neighboring shopkeepers brought an action for instance against the defendant..
a) The defendant is liable for nuisance. d) The plaintiffs suit should be decreed in his favor. 112 PRINCIPLE: A master is liable for the acts committed by his servant in the course of employment. FACT: Sanjay is a driver working in Brooke bond and co one day the Manager asked him to drop customer at the airport and get back at the earliest. On his way back from the airport. He happened to see his fianceRuhina waiting for a bus to go home He offered to drop her at home. Which happened to be close to his office . She got into the car and seen the car somersaulted due to the negligence of Sanjay Ruhina was thrown out of the and suffered multiple injuries. She seeks Compensation from Brooke bond and Co.
113 PRINCIPLE: Injuria sine dammim. I e injury without damage. FACT: SONU, who was a returning officer at a polling booth wrongly refused to register a duly tendered vote of MONU though he was qualified voter. The candidate whom MONU sought to vote was declared elected. b) MONU can sue SONU on the ground that he was denied to cast vote which is a legal right. 114PRINCIPLE: Any direct physical interference with goods in somebody's possession without lawful justification is called trespass of goods. FACTUAL SITUATION: A purchased a car from a person who no title to it and had sent it to a garage for repair X believing wrongly, that the car was his removed it from the garage. Has x committed any offence? b) X can be held responsible for trespass for goods. c) X has no right over the carashe purchased it from a person who had n title over it. 115 LEGAL PRINCIPLE: The occupier of a premise owes a duty of care to all his invites and visitors. a)Lalit is not liable in view of the clear notice against trespassers. c) Lalit is not liable to the people other than his customers. d) Lalit is liable because in fact he allowed the people to use his premises. 116 LEGAL PRINCIPLE: A statement is defamatory in nature if it is injurious to a person's reputation and if the statement has been published. FACTUAL SITUATION: Rudra had been dating a girl named Kiara for three weeks. But he had introduced himself to her as Ricky Thakur (who is one of Rudra 's Friends ) and he continued to be Ricky for the rest of their relationship But ultimately the relationship ended badly and Kiara being upset and angry at Rudra started a website named ricky thaku-is-a-jerk.com She created this website so as to warn other girls about ' Ricky Thakur The real Ricky Thakur fdes a suit for defamation. Decide. a)Kiara shall be held liable for defamation as she published a statement which was injurious to Ricky's reputation. b) Rudra shall be held liable as he had led Kiara into thinking that he was Ricky Thakur and moreover, it was his fault in the first place that made Kiara create this website. c) Kiara cannot be held liable as she had actually been referring to Rudra and not the real Ricky Thakur. d) Kiara cannot be held liable as her act was done in good faith as she intended to warn other girls. 117 LEGAL PRINCIPLE: Whoever stores a substance which could cause damage on escape shall be absolutely liable (i.e. liable even when he has exercised necessary care for any damage caused by the escape of the substance. FACTUAL SITUATION: Union Carbide India limited (UCIL) manufactured methyl is an extremely toxic gas. Due to a storm the was being stored in sealed containers got released Before much could happen the local municipal authorities managed to cantain the disaster. The authorities filed a suit against UCIL for the costs that were incurred in decontamination However later it was realized that he clean-up by the authorities could have been done without spending as much resources and the damage was not significant UCIL argued that it would pay only part of the amount demanded by the authorities. Which could have dealt with contamination. a) UCIL is liable only to the extent of contamination caused it does not need to pay the authorities caused it does not need to pay the authorizes the entire amount demanded by them. b) The authorities are to the whom sum .as UCIL shall be held liable for all repercussions of their act even if they exercise due care. c) UCIL can plead that the escape of their been caused by a storm and not due to negligence. It was an inevitable accident. d) The municipal authorities should have analyzed the damage first before jumping into action it was due to their own own negligence because of which they had to shell out more than required . 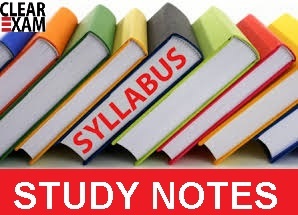 Get the updated and most relevant notes on Legal Aptitude Question-1 for upcoming CLAT 2018 and other Law Entrance Examination AILET, DU LLB and IPU etc.